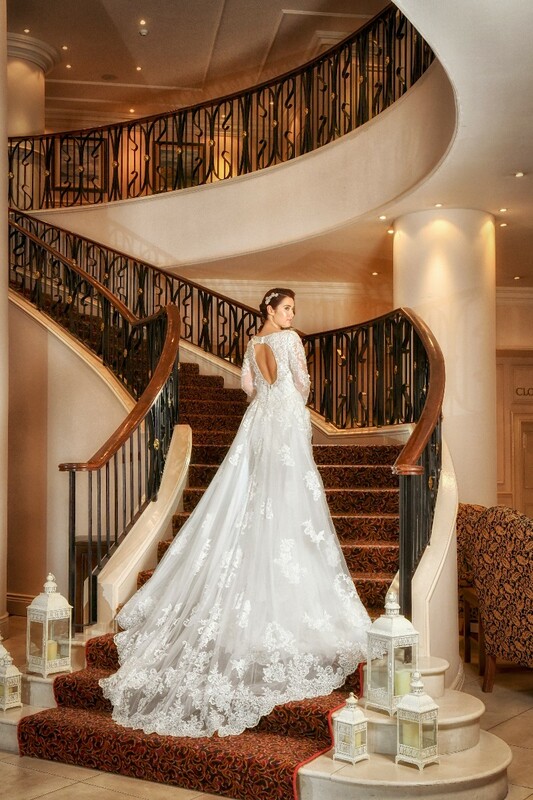 Mount Wolseley is the jewel in the crown of Wedding venues in the South East. 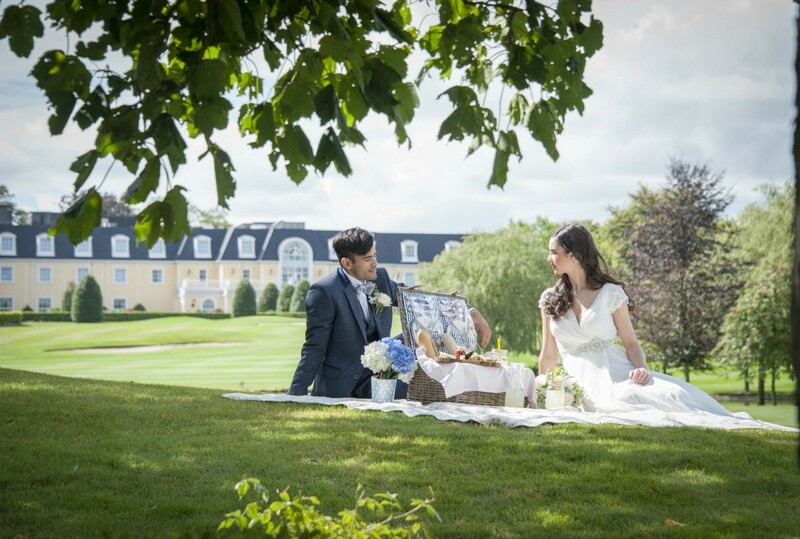 Centrally located within an hour from Dublin, Kilkenny and Waterford, Mount Wolseley Hotel, Spa & Golf Resort offers the perfect fairy tale setting for Weddings, Civil Ceremonies & Civil Partnerships. 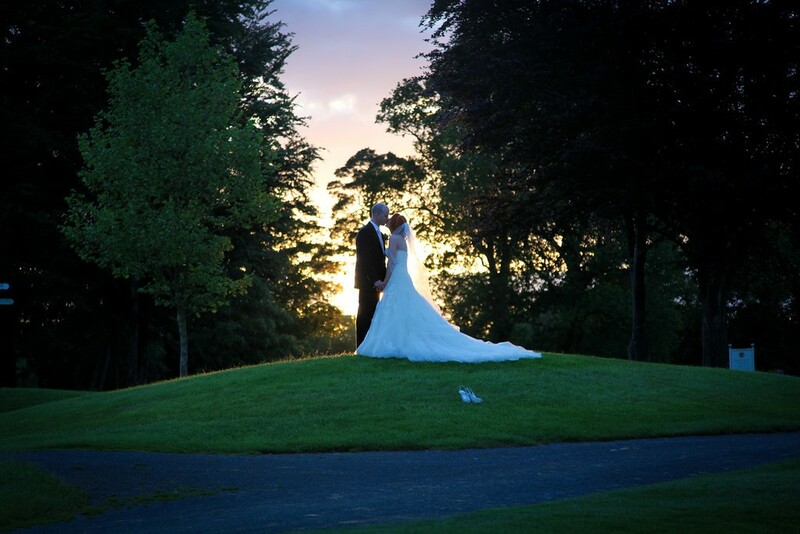 With its sweeping tree lined drive and stunning manicured grounds, this magnificent Resort Hotel provides a perfect backdrop for your special day. 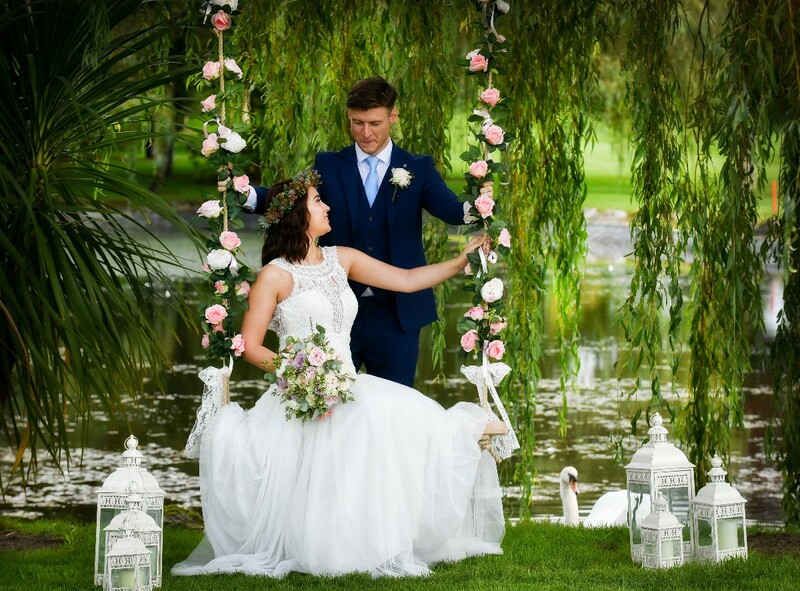 Our experienced Team are renowned for their professionalism, working closely with couples from the initial enquiry stage right up to the big day. 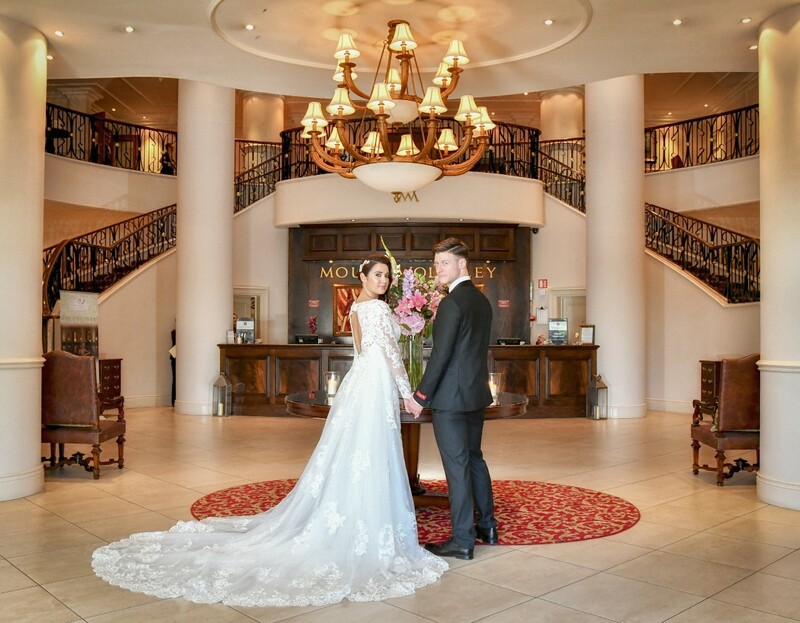 With incredibly affordable packages from just €58.50 per person or a more tailored bespoke wedding package designed for you, the resort has something for every couple. Our promise to you is a dedicated, professional and committed team to make your dreams become a reality. We will take care of you and your guests from start to finish and your wedding co-ordinator is on call for you at all times. Please feel free to contact Amy should you wish to arrange a viewing of the resort. We are flexible with viewings and would be more than happy to work around your schedule. 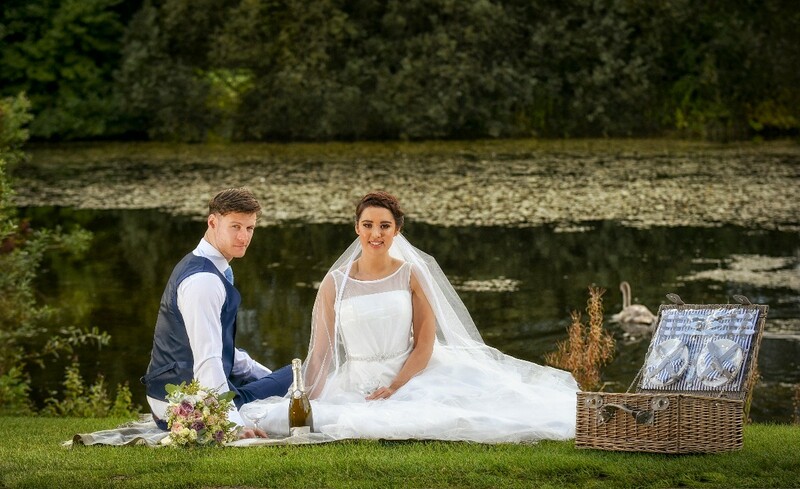 Mount Wolseley Hotel, Spa and Golf Resort is a Hotel Wedding Venue in Carlow servicing weddings throughout the local area including surrounding counties: Dublin, Kildare,Kilkenny, Wicklow, Waterford. 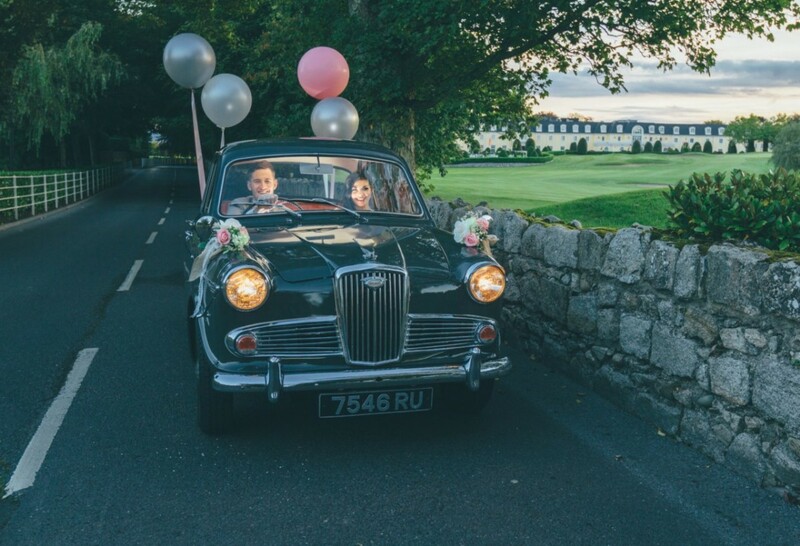 Mount Wolseley Hotel, Spa and Golf Resort is a professional Hotel Wedding Venue that has been part of the Hospitality industry since 1997 specialising in Bespoke and Vintage Weddings . We had only a few months to plan our wedding, but when it came to our choice of venue, we made a quick decision and we didn`t have any doubts that it was the right one. We loved the place from the first minute we visited it on their wedding fair. The golf course gave an excellent scene for photographs and when we saw the reception area with it`s fabulous staircase and lovely, warm interior, we werent`t worried about the weather anymore, because we knew that we could have excellent photographs taken indoors too.When we met Amy,our wedding manager for the first time, we knew straight away that we can trust her. She made us feel special from the very beginning and her warm,calm, cheerful personality reassured us that we are in good hands. She and the other staff members were all very nice and friendly, they had a very professional attitude to their job and even while working hard to make our day absolutely perfect, they never forgot to smile. We had a fantastic day, that we could fully enjoy, because we knew that we are in the best hands and everything will go as planned. Thank you Mount Wolseley for making our day very special and enjoyable. We and our guests were very satisfied with everything and everybody had great fun!I would recommend this wedding venue to everybody! We got married on the 4th January 2019 in Mount Wolseley Hotel in Carlow and it was the most amazing day from start to finish. If you are thinking of getting married this year, look no further than this hotel because you will not find a hotel that is as professional, accommodating and have as a high a level of customer service that every single member of the hotel has. From the moment we checked in, we were made to feel at ease that everything was in hand and they would have everything done that were looking for and all we had to do was sit back and relax and enjoy it all! On the day itself, we must-have rang down about 10 times to reception for different things and we hadn't got the phone down but there was a knock on the door with exactly what we were looking for! Nothing was too much hassle! Hanna and Keith, Hanna in particular who were heading up the operations team looking after everything on the day, was just incredible.. she knew what I wanted before I wanted it. Unfortunately my little man got chicken pox on the day and she was even going to send someone out to the chemist for him.. thats just a tip of the iceberg! Unbelievable at her job! the food...from the breakfast, dinner on the day and food the day after... Wow! There wasn't one person at the weekend that didn't comment on how good the food was! I could go on and on and on... but there isn't a hotel in Ireland that I have been to that could live up to the service we received from MW. In my opinion, its a 5 star, fabulous family hotel and location and I will definitely be back year after year! We had our wedding in Mount Wolseley on the 30th of dec ‘18. I can’t say enough good things about it. From the minute we booked it it was just so easy but what really made it amazing was how the staff were the week before and especially the day of. They couldn’t do enough for us. We got ready in the hotel that morning and without even asking they brought breakfast to us , gave us a separate room for us all to get ready in which made it so relaxing. Everyone raved about the hotel and how good the staff were. Keith was just brilliant and made the day so enjoyable. The rooms were fab and people are still talking about the food and how fantastic it was. Couldn’t recommend this hotel enough.... and I have been to a lot of weddings. Def up there with the best. We had an amazing day here when we got married on December 8th 2018. From the very start of our experience booking our wedding the service was exceptional. Amy our wedding planner was super she put so much effort and thought into all the little details of our day and fulfilled all of our little requests. On the day the staff were so friendly and helpful especially Hannah who took care of us her attention to detail and friendly manner made our day so special. All of our guests said the food was amazing, the staff were so friendly and helpful and they loved the venue and it’s set up. Thanks for a wonderful day it was everything we imagined and I would highly recommend the hotel! We got married in Mount Wolseley on November 30th. Right from the day we booked our wedding (18 months before the day) the hotel and staff were amazing. Both Amy and Hannah were exceptional, so helpful, friendly, thoughtful and professional throughout our wedding planning. Our day went perfect thanks to the girls and all the staff who looked after our guests on the day, everyone was made feel very welcome and all of the special requests were looked after.. All of our guests have commented on the staff, service, food and the hotel itself and how fantastic it all was on the day. We cannot thank Mount Wolseley enough for making our day so special. We cannot recommend Mount Wolseley enough. The quality of the food and the service was phenomenal and all our guests are still talking about the beef! We wouldn’t change anything about the day and we’re so happy we made the decision to have our reception in this hotel. absolutely amazing hotel they couldn't do enough for us especially our banqueting manager Stephen and Amy our wedding planner from start to finish we were made feel like royalty like we were friends for years it is an amazing hotel with beautiful grounds for photos highly recommend to any future bride and groom our guest were just amazed by the hotel and still talking about our wedding. We had an amazing two days and highly recommend them. Everyone was lovely and we couldn't have asked for more. Everything was top quality couldn’t fault anything. Top class service and food. Would highly recommend it for a wedding. Wow. What an amazing hotel, right from the moment we booked our wedding 17 months before our wedding day. To any couple who is considering booking your wedding at this stunning hotel, you will not be disappointed. Both Gill and Amy were very professional, very friendly and extremely helpful throughout our wedding planning. To all the staff who looked after our guests on the reservations, everyone was made very welcome and all special requests were looked after. On the day itself again all the staff were outstanding, they treated everyone with such kindness and warmth. All our guests said the service and food was just amazing. Steve our wedding coordinator on the day, who is a true gentleman was just superb. The day ran so smoothly and everyone was so relaxed and clam thanks to the professionalism of Steve. 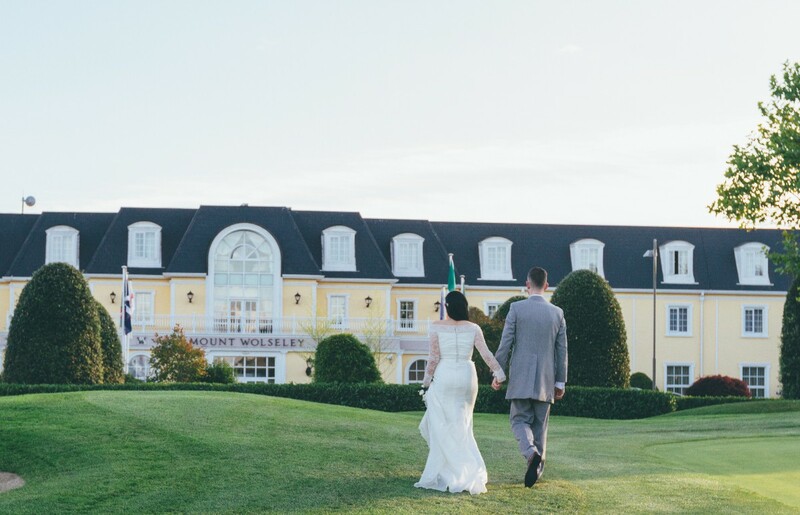 We cannot thank Mount Wolseley enough for making our special day truly magical. We get married in August 2018 & had our wedding reception in Mount Wolseley Hotel. We’re booked our venue 12 months before our big day. From start to finish the hotel were outstanding. The wedding manager & one of my favorite people during our wedding (planning & big day) was Amy, she was an absolute dream to work with. She answered every question we had & did an amazing job delivering an amazing experience. She is definitely top of game. From the first time we seen the hotel, I just got a warm fuzzy feeling as soon as we walked in the door. The hotel & the grounds are beautiful. On our big day, the banquet manager Steve ran the show & if we needed anything Steve was on hand to deliver. I would only love to do it all over again. We stayed in the hotel for two nights & the second day we had another get together in the private bar where we had gorgeous food & music. Even though there was another wedding on our second day, Steve was always checking up on us to ensure we had everything we needed. If you are thinking about using this venue, you will definitely be impressed. Your day, like ours will be amazing with Amy & Steve in charge. Could not fault Mount Wolseley they were amazing from day one food service staff rooms grounds all five star. Amy the wedding coordinator is amazing and manager Steve treated us like royalty for the whole weekend. Wish we could do it all again and looking forward to our anniversary stay. 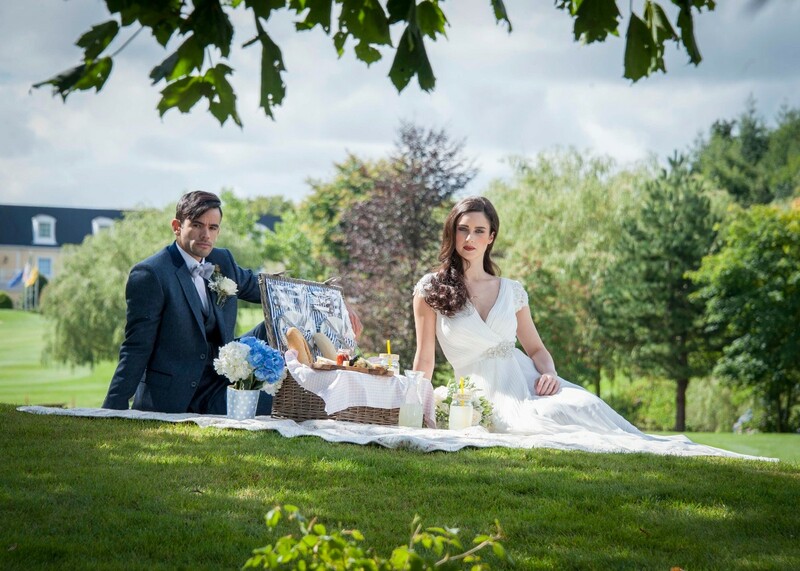 The standard of professionalism we experienced when planning our wedding in mount wolseley was exceptional. We were instantly made feel at ease by the coordinator and banqueting manager who did their utmost to ensure our day was perfect. The service, food and beautiful views made it our wedding of dreams. Thank you to all the staff and management. Got married there in June gone and I have to say everything about it was just fabulous from the hotel to the food the staff, To Amy and Steve they both couldn’t make your day go any better brilliant service, brilliant memories in such a beautiful Hotel. 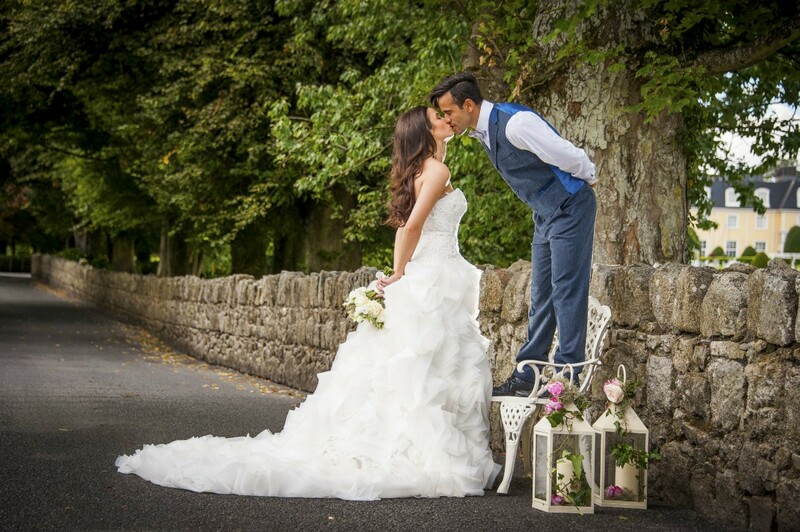 We had the most amazing weekend at our wedding in Mount Wolseley Hotel and Spa. The staff could not have done more for us especially Steve who went above and beyond for us to ensure our weekend was everything we had imagined. All staff were very friendly and delivered service with a smile. The food was beautiful and the feather blade fillet of beef was exquisite!! 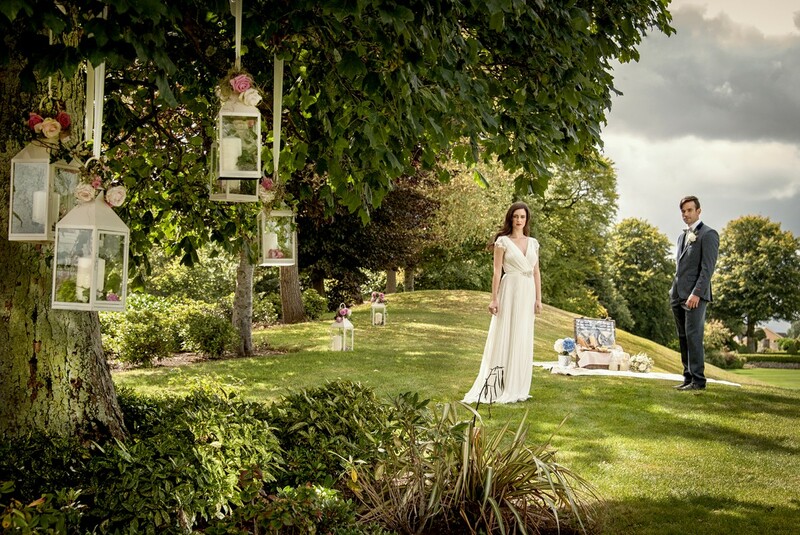 We would highly recommend Mount Wolsley Hotel and Spa to any couple planning their wedding. The hotel and its surroundings are fantastic with countless photo opportunities. 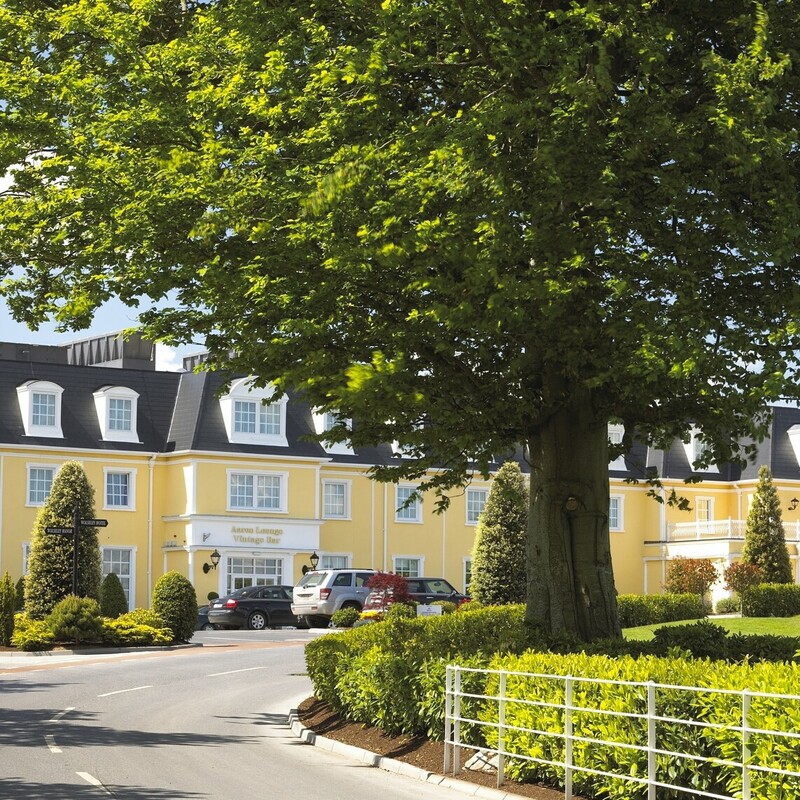 The ample accomodation in the hotel and surrounding lodges ensured that all our guests were accomodated for within the grounds of mount wolseley. We are looking forwad to many returns to Mount Wolseley in the near future. This hotel is amazing to have your wedding with, right from Gill who helps with the planning of the wedding- and just makes it fun and easy to stephen who's with you on your wedding day and makes the whole day just flow perfectly. 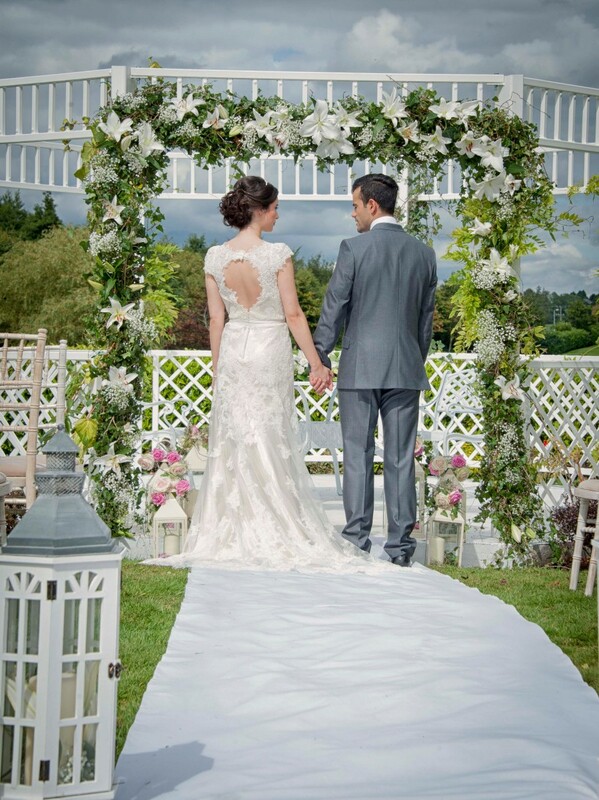 Every member of staff ensures your wedding to be the wedding of your dreams. We had our wedding in Mount Wolseley on the 27/04/2018. From the minute we arrived on the Thursday, Keith went above and beyond making sure our every need was looked after. Keith and his team were so efficient and professional but also GREAT CRAIC! As soon as we booked our wedding Gill and her team put us as ease. The reservation staff were extremely helpful to us and all our guests in the months and weeks leading up to the wedding. Once people arrived at the hotel the reception staff greeted them with a smile and checkin was so efficient. Compliments to the chef and his team - the food was fantastic, empty plates all around! The bar staff are just in a league of their own, they love to party, great cocktails! All the staff at Mount Wolseley made our day EXTRA special - nothing was left to chance. An exceptional venue, run by an exceptional team - thank you DJ and Annie Burke. Mount Wolseley was the perfect venue! We had over 240 guests and they treated each one like royalty. It was fabulous! Every meal was delicious and piping hot, the wine never stopped flowing. We were thrilled. The bbq the next day was of a similar high standard! Reception was fabulous and wedding team met my every need. Accommodation and breakfast the next day was also perfect. Gill and Stephen made our wedding planning run seemlessly, nothing was too much for them and Paul was fantastic when meal planning. The staff were so friendly and personable - guests were talking about the fantastic food and service long after the wedding!! Our day was made magical by the professionalism and enthusiasm of the whole team - would definitely recommend! We fell in love with the hotel the first time we went to view it. Gill the wedding planner was a great help and no task was to big or small and she was always at the end of the phone or email and we knew we were in safe hands. All the staff were amazing Stephen who helped with our meal and wine tasting and on the day itself made everything so easy. Big thanks to the chefs the food was out of this world everyone is still talking about the beef. The barstaff, receptionists, Paul in the restaurant and everyone who helped make our special day amazing we can't thank you enough it really was an amazing weekend. 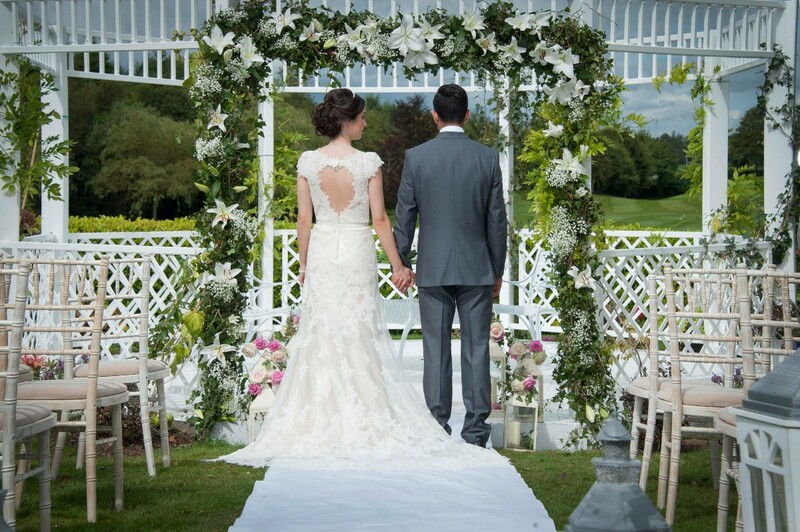 We could not recommend Mount Wolseley enough as a wedding venue. 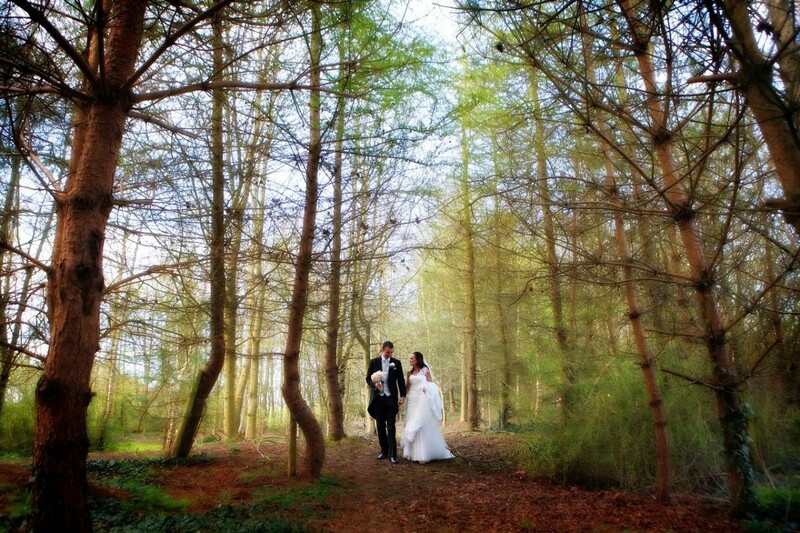 Gill Long is the most amazing wedding planner - so thorough, friendly and truly professional throughout the whole time. Every hotel should have a planner like Gill. From our initial conversation late last New Year’s Eve 2016, Gill stayed back to chat to us and take us through the different packages available and give us a tour of the hotel. Nothing was a problem, she was able to tailor our package to our needs and accommodate any special requests we had. Communication was always clear and no detail was missed. Along with Gill, we had the pleasure of meeting lots of other hotel staff. Gillian, our host on the night of our menu tasting was so professional and helpful when selecting the wine and food for the wedding day. Her knowledge of what works and what guests like was excellent. It all paid off when we received so much compliments from our guests after the wedding about the amazing food – the chefs did an amazing job. Compliments also have to go to Keith, PJ and Hannah who did so much for us in the days leading up to the wedding and the wedding day itself. They left no stone unturned when it came to looking after us and our guests with utmost care. We are so grateful for the entire Mount Wolseley experience, it was impeccable and a credit to the hotel’s stunning location and surroundings and most of all, its wonderful staff. I would like to thank mount wolseley and gill and all there staff for an amazing day. Everything from start to finish was brilliant. The did all the little details perfect and the venue was beautiful I was delighted. The food was amazing and all the guests couldn't praise the place enough. I would definitely recommend this hotel to all my family and friends. I cannot recommend Mount Wolseley enough! They gave me and my Husband the best weekend of our lives!!! They treated us with such kindness & warmth from the very first day we met right up to our wedding day. Their professionalism was outstanding, they went over and beyond for us. I have to give a special mention to the fantastic wedding coordinator Gill, possibly one of the nicest people you could meet, she made everything so easy , stress free and enjoyable for the both of us. All my guests complimented the service and food on the day of the wedding. It is such a fabulous hotel and the grounds are unreal for photos. Best of luck to all the brides to be out there and I promise you won't be disappointed if you book Mount Wolseley. 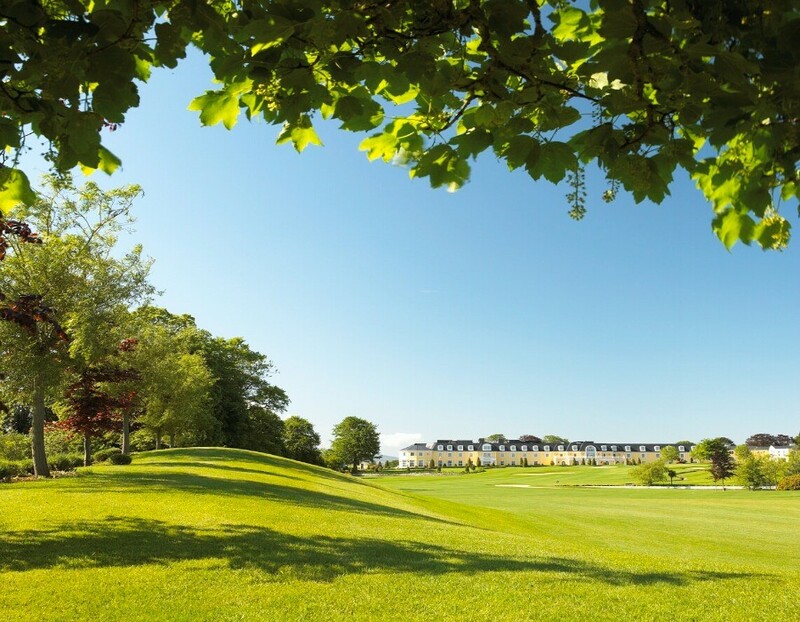 Our experience with Mount Wolseley Hotel, Spa and Golf Resort, is one that will remain with us for many years to come and all for the right reasons. From start to finish, we never once had an issue with communication, accommodation, professionalism and value. From the first time we meet with Gillian Long, Wedding coordinator, we knew that our wedding was going to be exactly what we wanted, and Gillian seen to that and more. Little details that we never new about on the day, made it just out of this world (cookies, popcorn, and mini milkshakes for the kids that attended). To this day, we still have people phoning and talking about the food, the venue, the rooms, the whole day in general, and that says a lot about the place and the people we dealt with. We cannot thank Gill, Alan, Danny, Hannah and all the staff at Mount Wolseley enough for their professionalism and friendliness and making our wedding day so special and go so smoothly from beginning to end. Living abroad we expected that dealing with our venue would be the most challenging part of organising our wedding but instead it was by far the easiest! We flew home from Australia 3 weeks before our wedding (2 1/2 years since we were last home) and were able to have our menu tasting then and stayed the night to get a feel for the hotel before the madness began! From the moment we got there we were treated like royalty and all the staff could literally not do enough for us. We had a few last minute changes and things we had to tweak that we were stressing about but nothing was a problem for Gill and everything was just perfect if not better! Danny and Alan were fantastic on the day and we’ve had so much incredible feedback from our guests over how friendly and helpful the staff were, how gorgeous the food was (and how much of it there was) and how stunning and relaxed the hotel was in general! Wish we could do it all over again!! No words can describe how fantastic Gill long, Alan and the staff in Mount Wolseley were for our recent wedding there. From the very first day and throughout all the wedding preparation including the wedding day itself, Gill couldn't have done more for us! The service provided was above and beyond our expectations and was noted by all our guests throughout the day. We couldn't recommend this hotel and it's staff highly enough for their professionalism and efficiency! Well done and thank you so much!! 5 stars isn't enough!!! Have to say Gill & her team went above & beyond for us for our wedding & we really couldn't recommend them highly enough. We had a number of external vendors & Gill co ordinated with all of them to ensure our set up looked the absolute best it could. We hadn't really planned a day 2 but Gill organised a private room for us to have a meal with our family with personalised menus & cake display. Gill also organised a meeting room for me to get ready in on the morning of the wedding & when I arrived it was decked out with mirrors tables & chairs and a breakfast area. Amazing team to deal with have to give Hannah & Alan a shout out for all their help on the day. Couldn't recommend Mount Wolseley high enough we were absolutely thrilled with how everything went on the day! Major improvements have been made by Gill since we originally booked so much so that we used all the hotel provided decor for our ceremony room. We first viewed Mount Wolseley in November 2016 as a possible venue. We were also looking at Faithlegg Co. Waterford as we are based in south Kilkenny so both venues are approx 1hr. From the moment we drove through the entrance gate at Mount Wolseley we got that WOW feeling...we knew our guests would appreciate it too as lot of Damien's friends love to Golf. There is plenty of parking directly outside the hotel. The main lobby is very special. The stunning dual stair case both sweeping around the main reception afain has that WOW factor. The hotel also has a beautiful pool and Spa which alot of guests availed of the following morning to shake off the hangover. You have the choice of the main entrance to arrive through or the Banqueting entrance which is a circular building and very private for the wedding party, easy for guests to mingle, listening to the arrival music( we made use of the piano outside the stunning stone walled interior Snug bar) we chose the banqueting entrance to arrive through on the day as Gill Long ( the friendliest, most efficient, passionate about her job, takes pride in her work, goes above and beyond for you wedding co ordinator you will ever meet) pointed out to Damien and I that our guests will see the main reception when they check in. We had a caricature artist here, alongside the ice cream cart and the kids had cones of popcorn...we got cocktails and bottled beers and prosecco for the guests arrival too. Scones and biscuits some sandwiches too as our guests had thst 1 hour drive from the church. (Tip: Go for an early time for ceremony as you and your guests will want as much time as you can get when you arrive to mount wolseley) Gill made everything so easy for us we were able to swop things around with the package (ie sanwiches from the evening food were served on arrival instead)The reception staff..so friendly, personable and again efficient. This hotel is at present a 4 star hotel but because of the level of service we and our 197 guests received from Alan and Hannah and all the Banqueting team and of course Gill on the day too was so high it feels like 5 star. Every waiter was assigned their own table ensuring that every guest at that table had their every request attended to. So many guests commented about how fantastic all the staff were. We genuinely did not get any bad feedback. One guest complainted about the music level during the meal. This was brought to my attention immediately and i was asked what would i like to do... we didnt feel that music was too loud but the guest who complained was elderly so for her sake i decided to lower it slightly but the fact i was kept informed and things were being communicated to me i loved that! All other guests commented on how amazing the food was. The fillet of beef that we had... how soft it was..how the vegetables were cooked perfectly too. We went for the seabass and sea trout as the alternative to beef. Every guest got 3 fillets of fish on their plate. Believe me when i say that the food was Outstanding. Huge compliments to the Chefs. We got our pictures taken on the golf course. I'm going into a lot of detail but that's because i can honestly say that if i could do it all over again i would choose Mount Wolseley Hotel Golf and Spa resort as my wedding venue again. Faithlegg was nice but just didn't have that WOW factor for us. We felt the staff at Mount Wolseley are the best in Ireland. 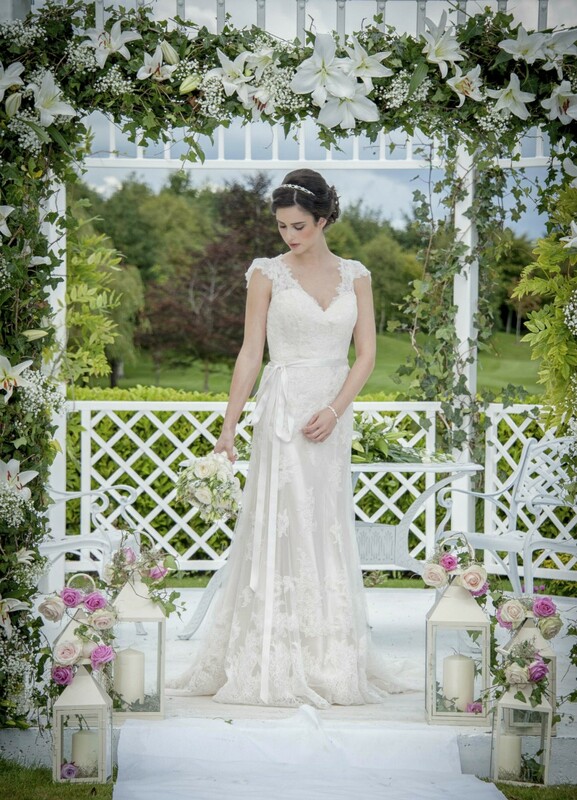 You have a choice of 3 different stunning bridal suites... best advice go meet Gill and get a showaround. Nothing we had a great day and everything was perfect! Thanks Gill and Jessica..
Gill Long was amazing for our day, she went through all the little details and took all the pressure off. At the menu tasting and the weekend of our wedding all staff could not do enough for us and our guests they really went above and beyond. Amazing wedding planner Jill. Staff were so accommodating and friendly. We booked our wedding in Feb 2016 and knowing we were going to have approx 20 kids at the wedding, Mount Wolseley suited our needs perfectly! It's quite a laid back venue yet has great attention to the small details. There were a number of personnel changes of the Wedding Planner role in the past year, which for other couples may have been a concern, but we were quite laid back about the wedding so it didn't affect us. Gill started in the role a few months back and we have found her extremely helpful. She couldn't do enough for us! The lead up to the day itself was very straight forward and we met Gill a few days before to go through everything which totally put us at ease about the day. Everyone in the hotel was so friendly and helpful and we could not have asked for more. We had loads of compliments from our guests about the food and the venue which was great! Would totally recommend Mount Wolseley to anybody for their wedding day. We wouldn't have changed a thing! Wonderful hotel, couldn't do enough for us. Gill was great to deal with. Good value for money. Food was excellent on the day, the function room was extremely warm though. But anything we asked the hotel for they had no problem accommodating us. Just after we booked our wedding day , there was changes with wedding planner and hotel was bought over. This did make us nervous but our wedding day was brilliant. We and an amazing day and guests really enjoyed themselves too. Everything went to plan. It was just perfect! We had our reception in the beautiful Mount Wolseley Hotel, Golf and Spa Resort on 18th Sept 2015. The wedding co-ordinator, Elaine was excellent. We were also dealing with Bala on the day and aswel on the night we attended our menu tasting, and he was amazing. Nothing was too much trouble for either of them. We had some personal touches at the church which were brought to the hotel and they placed them beautifully in the function room for us. The food was absolutely amazing, and any extras or changes we asked for at the time of our menu tasting were also taken into account. There were also seconds provided, which I have not seen at many weddings, and this went down really well with all the guests and at least we didnt have to worry about them not getting enough to eat. There were no delays with food either and every table got theirs at the same time so at least everyone was eating together. 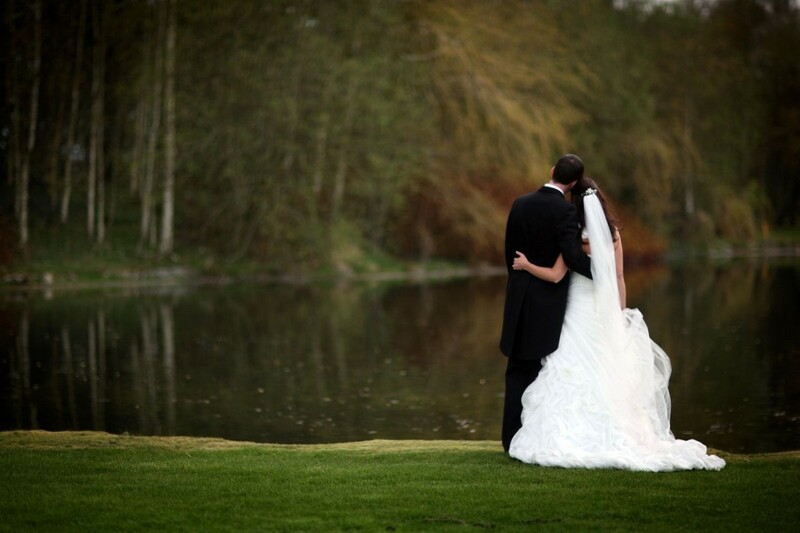 The grounds are amazing, and we were lucky enough to have a beautiful day where we could get some pictures in the garden and beside the lake on the golf course. I really cant recommend this hotel highly enough, and if I was to do it all over again I would definitely book Mount Wolseley. Thanks again to all the staff for looking after us and our guests so well and we will definitely be returning. We had our wedding in Mount Wolseley in June 2015 and it was magical. Unfortunately mid-way through our planning the wedding planner changed - we didn't find the new planner to be very efficient / friendly and whenever she was to come back to us on anything we ended up having to chase her, finding she'd no recollection of having promised to revert. On the day of our wedding, she was only there to welcome us, we didn't see her after that. The guy you did look after us for the day (I can't recall his name now but think it was something like Kal / Kam?) was amazing - he made sure everything ran like clockwork and nothing was too much trouble. The food was beautiful and plentiful, everyone commented on it, the venue stunning- there was absolutely nothing we could fault with the day. At time time, my Dad was very sick with Cancer. He was due to travel back to Dublin the day after our wedding but became too ill to travel - Mount Wolseley arranged for my parents' bedroom to be available for them to stay another night on a complimentary basis which we were so grateful for - they really went above and beyond. With the exception of the wedding planner, all the staff in Mount Wolseley were so helpful and professional. I'd have no hesitation in recommending Mount Wolseley as a wedding venue. Review by 5 stars for Mount Wolseley! I could not recommend Mount Wolseley highly enough. We had our reception there on 24th of January and we had a fantastic experience. The staff were superb! Catherine was our wedding co-ordinator and nothing was too much trouble for her. She and her team replied promptly to all of our queries and even gave us some great suggestions, which actually added to their work load! We had a really relaxed lead up to the Big Day as we knew that all of our plans were in reliable hands. Gerry and Bala oversaw the set up and service on the day. They didn't miss a single detail that we requested and were so pleasant and professional to deal with. They really cared about how the day went for us and were so attentive to us. The food was beautiful with excellent service. The wine was free flowing and they even came around with extra portions of the main course. Our guests were really impressed. As ours was a winter wedding we used the interior for our photos. The cocktail bar area outside the restaurant looks stunning in the photos and the stairs were a beautiful backdrop for our group photos. I'm so delighted to be able to look back on our day with such happy memories and if I was to do it all again (I wish!) I would definitely pick Mount Wolseley. 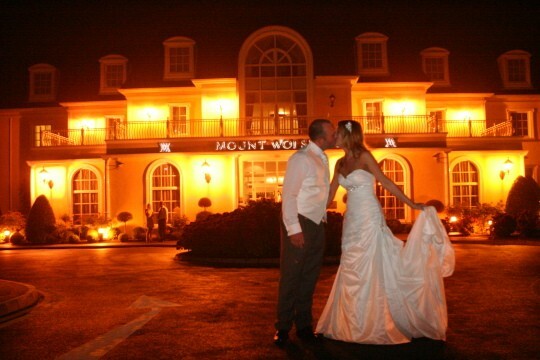 I would highly recommend Mount Wolseley Hotel for your wedding day! Our wedding coordinator was Catherine Doyle and she could not have been more helpful and efficient. Any emails or queries I sent Catherine were dealt with promptly wherever possible and if Catherine was on holiday, she would always let me know and provide contact details for her colleague. On our wedding day, the food was absolutely delicious which many of our guests commented on so it was not just the bride and groom's meals! The staff could not have been more helpful and friendly. For example, some of our guests travelled from Scotland with young children and afterwards they mentioned how helpful staff were in particular the receptionists and porter . Beautiful surroundings for photos , even if it rains lovely staircase for pics. Room for ceremony and reception very well done . We had a fabulous day to remember . Highly recommend this venue . Thank you so much for all of the work and effort you and the team in Mount Wolseley did to make our wedding day so special. It was everything we could have asked for and more. So many of our guests complemented us on the choice of location, the words “amazing hotel and service” were mentioned to us by lots of people so thank you for that. 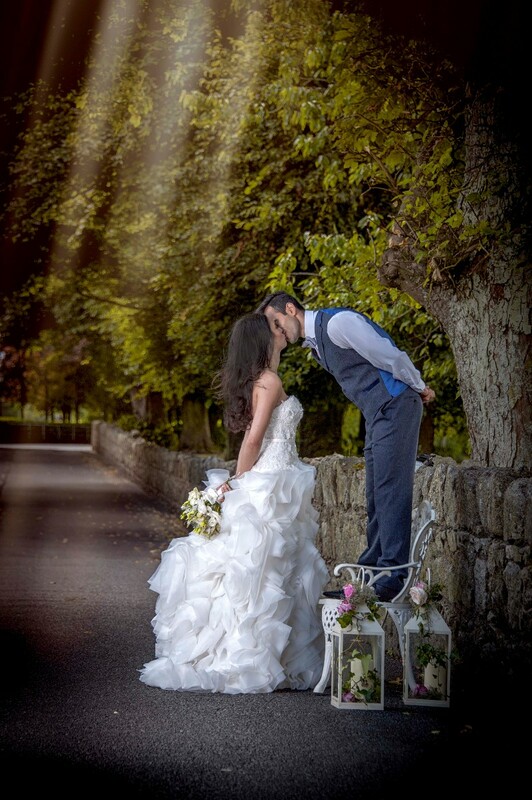 We chose Mount Wolseley because it was somewhere different from the other hotels we have seen on our search and it certainly didn’t disappoint, honestly even on the day the staff just went over and above to make us and our guests feel welcome and ensured we had everything that we needed at all times. We are really very grateful. We would like to express our thanks to yourself and the staff of Mount Wolseley for making our Wedding Reception and stay a memorable one. We could see from day one that the Management and staff offered only the best in service and quality to their guests and that is what we received “two fold” . Catherine , yourself and your team excelled in making our day perfect ,everything ran so smoothly from start to finish . I have to commend you highly as you made the hotel organising side of things so easy for me and stress free which means a lot to a “bride” when she has a hundred and one other things to organize. “Complements to the Chief” and that comes from all our guest’s, whom have been raving about the food since the wedding. The food was ,tasty ,hot, and lots of it. Our only problem was we had not got enough room in our tummy’s for more and more was an option .I have not come across seconds in a long time when attending a wedding ,this was quality service! People say you should feel like Royalty on your wedding day and that we did, the wedding function manager & staff went out for their way to ensure ourselves and our guests were attended to for every need. I recall on leaving the function room a member of the waiting staff that was cleaning up approached us and asked us if we had arranged our breakfast for the morning which I totally had not even thought about, he took an order there and then for two breakfasts for 11am and to be sure 11am on the dot a champagne breakfast arrived which was well needed and lovely. Also a big thank you to Breda & Magda in reservations whom were both a pleasure to deal with and excellent at their jobs and to the bar staff on the day & day after whom were on the ball and done a great job . I cannot knock anything about Mount Wolseley , I just wish I could do it all over again and Mount Wolseley would be our venue without a doubt ,but one thing is for sure I can look forward to many a visit in the future which is most defiantly on the books. We are thrilled we chose Mount Wolseley and would recommend it in a heartbeat. Myself and my husband got married in August 2012 and had our reception at Mount Wolseley and we cannot recommend this hotel enough. The staff and wedding co-ordinator Catherine were always so helpful and friendly, even the reservations staff especially Magda! This hotel really is amazing, From the gardens to the hotel interior...you can see this hotel is really cared for. Our photos are amazing and so was our wedding day thanks to the hotel and staff. We got married in Mount Wolseley in February 2009 and we cannot speak highly enough about this hotel. From the very first visit to the morning after our wedding the staff at Mount Wolseley were so professional, helpful, friendly... everything you need when you're planning your wedding. Every little detail we had planned and discussed in the year leading up to our wedding was perfect on the day. We would highly recommend this hotel to any couple looking for their dream venue. Why We Chose Our Wedding Venue - 20 Couples Tell All!